New tactic for March writing things down in a draft post as we go along, let see if I can actually make this post into a publishable state. Apologies if it seems a but disjointed. Clinique Rinse off face wash - I first bought this last May and it lasted me pretty well. I finally used up the tube and have repurchased it, I hadn't used it much in the past few weeks as I didn't want it to be used up. But since buying a new one I'm back using it mist evenings and really like it. Bomb Cosmetics bath - Bath Brulee. This is a large product and you can get 4-6 uses out of it. Only used it a couple of time so far. You drop it in the bath. Let it fizz for a few mins then fish it out. 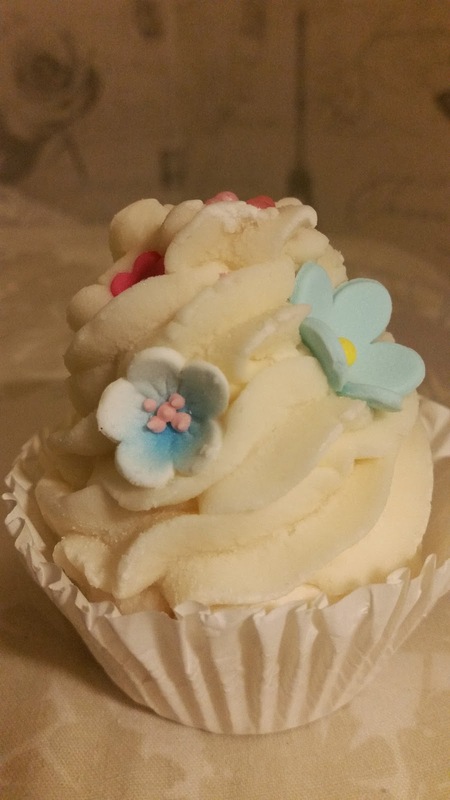 It's really moisturising and smells amazing. I think I paid £3.99 for it but if I can get 6 baths, it will be the most cost effective product I've used from them. I think I got about 5 baths out of this. I could have got 6 but I couldn't be bothered to fish it out the last time I used it. My only issue is storing it. I saved the plastic gift bag this came in but I know other stockists give paper bags so you might need to keep it in a dish / tupperware container. So Susan Eyebrow palette - I've really loved this again this month. 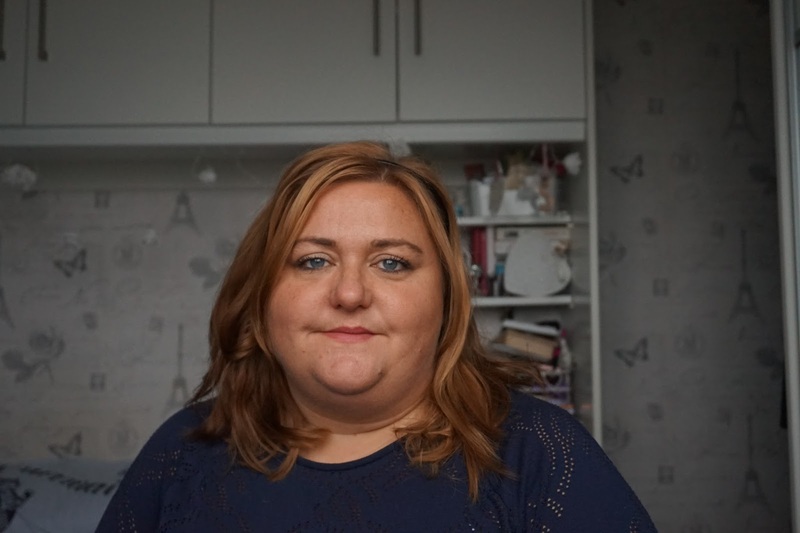 I put it away for special occasions but after using it at the start of the month as a one off and by the end of the day me saying hey my eyebrows still look good, it's earned a place in my makeup bag again. I got this in a beauty box last year and really liked but felt it was too nice for every day use. 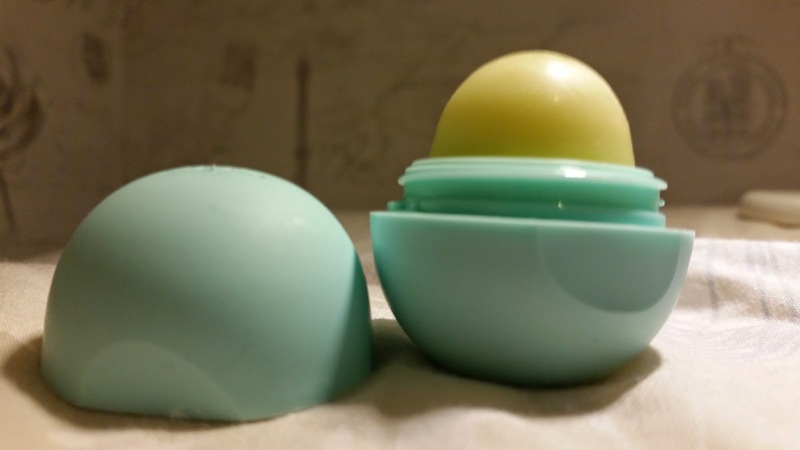 EOS Sweet Mint Lip Balm - I got mine from Urban Outfitters and think I paid £6.50. I probably could have got it cheaper online but I like instant gratification. It smells amazing and I doesn't dry my lips like a few lip balms do. Trousers - Unusually for me I've been reaching for trousers more and more this month. I haven't got a specific favourite pair but jersey fabric with pockets are my go to. I do feel a bit like I'm in my PJs but yay for trousers and a much more practical with the wind storms we've had in the past few days! This wasn't a blog event but I took my mum to the Corronation Street Tour as one of her Mothers Day presents. It was so much fun. 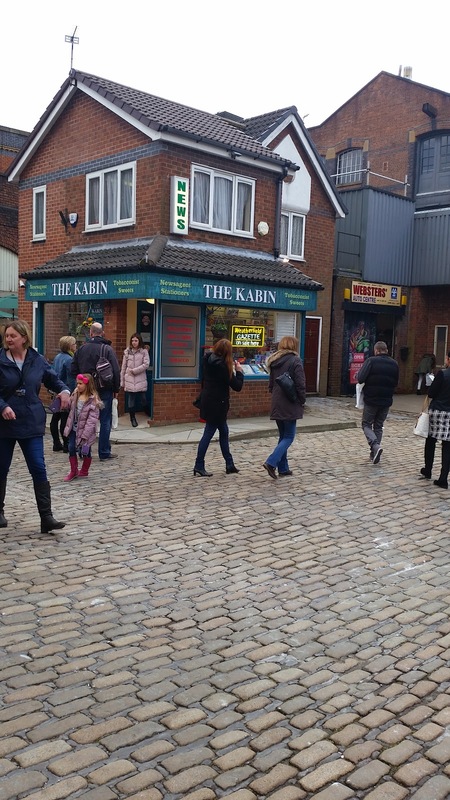 I don't even watch Corrie and really enjoyed it. 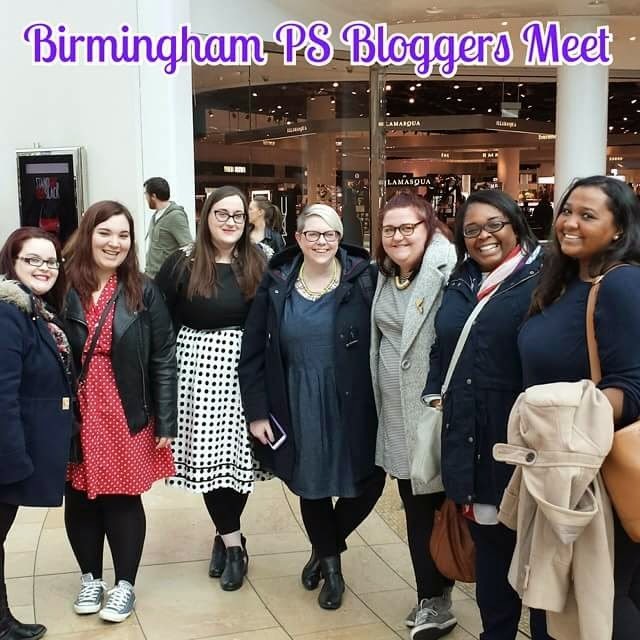 Meeting up with Blogging Friends - Again not an official event, but it was such a lovely afternoon spending time with these 6 ladies. I will be doing a full post on Sunday (Hopefully) about what we got up to. Dave Gorman Unchained America - My reading has really tailed off this last month but I really enjoyed this book. I watched the TV series many moons ago. I found a copy in the Scope Charity shop in Skipton and it was 50p well spent. 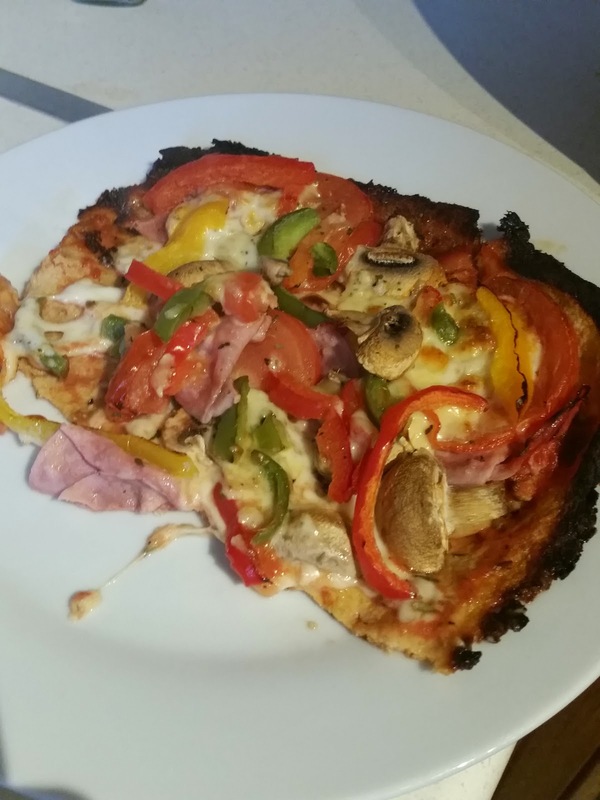 Cauliflower Pizza -Our version needs work but as experiences with food it was good. Our recipe was an amalgamation of a few but I've since watched a video on Jamie Olivers food tube that we're going to adapt to make SW Friendly. 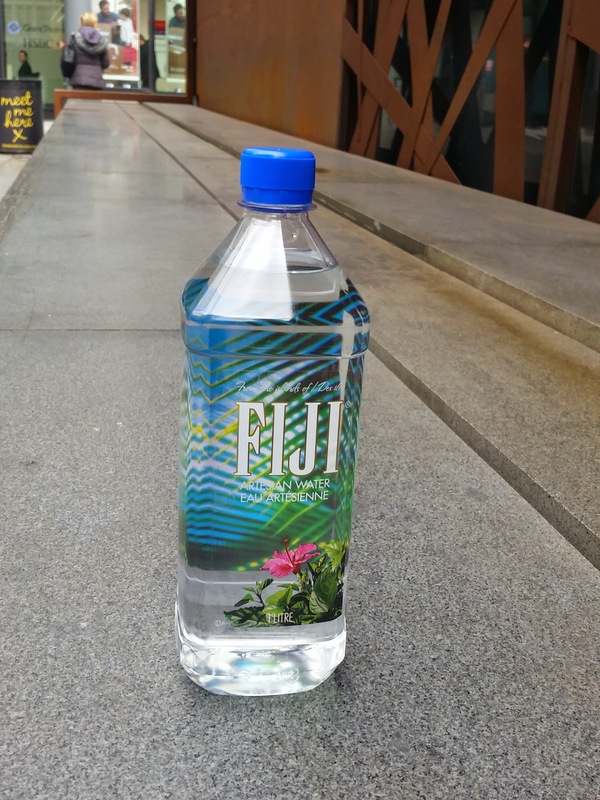 Fiji Water - There is a lot of hype about this and I've seen a few people mention it was good. I found some in Waitrose and really enjoyed it. I'm not sure it will be a regular purchase but was bottled water goes it was pretty nice. It's the best bottled water I've had in a while. Costco Birthday Cake - Never let my dad order your birthday cake from Costco because he refused to order a "fancy cake" Much disappointment for all but HOW amazing is Costco birthday cake taste wise? Shame no one else has a special birthday coming up as I could eat another slice about now. 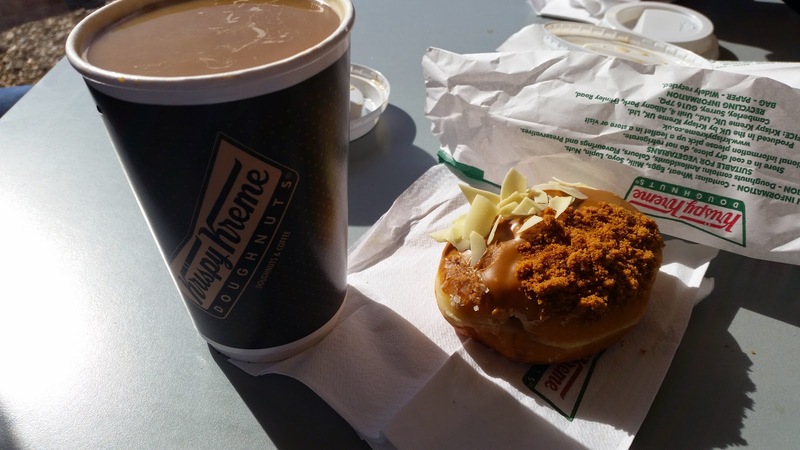 Coffee and Doughnuts - So as we may have guessed I've had a none slimming world food kind of month. Special Kudos to Krispy Kreme Lotus Biscuit OMG The white chocolate spoilt it a bit but everything else was perfect. Twitter Chats - I've been trying to take part more. There are so many but I've enjoyed taking part this month and feel like I've learnt things. Blogger Challenges - #OMCZ is back for 2015. I've been getting organised creating a members facebook group. There is a pinterest board for ideas and posts to be pinned to and I'm feeling really motivated. He's a star! 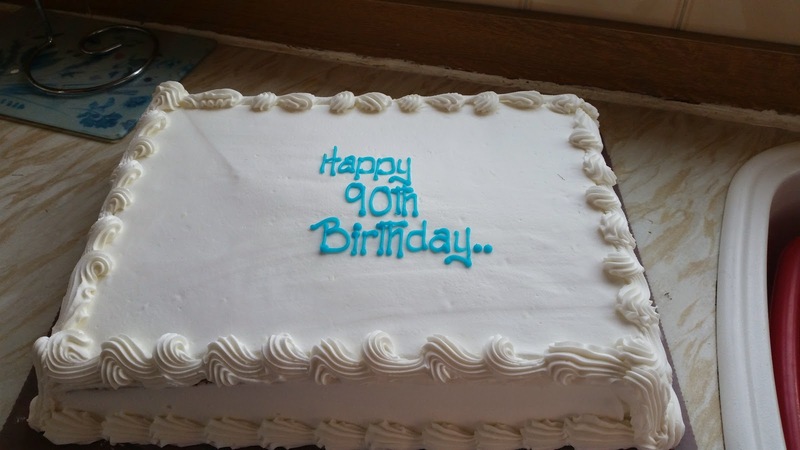 I love the icing on costco cakes so i was hoping he'd got something more decorated as it all done in butter cream. It would have been better if it had been centred more!! oh well at least he bought her one!